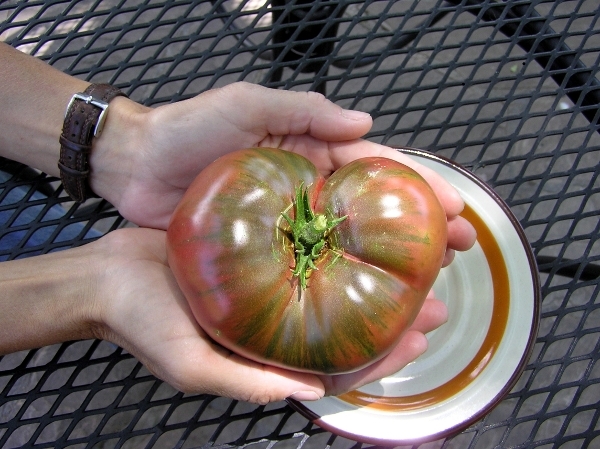 Beefsteak tomatoes are the classic large slicing tomatoes. Many have long and fascinating histories. They come in a variety of colors and are perfect for a summer tomato sandwich. I also have included larger globe-shaped tomatoes in this category. Many of the heart-shaped varieties originated in Eastern Europe. They are very dense and nearly seedless. 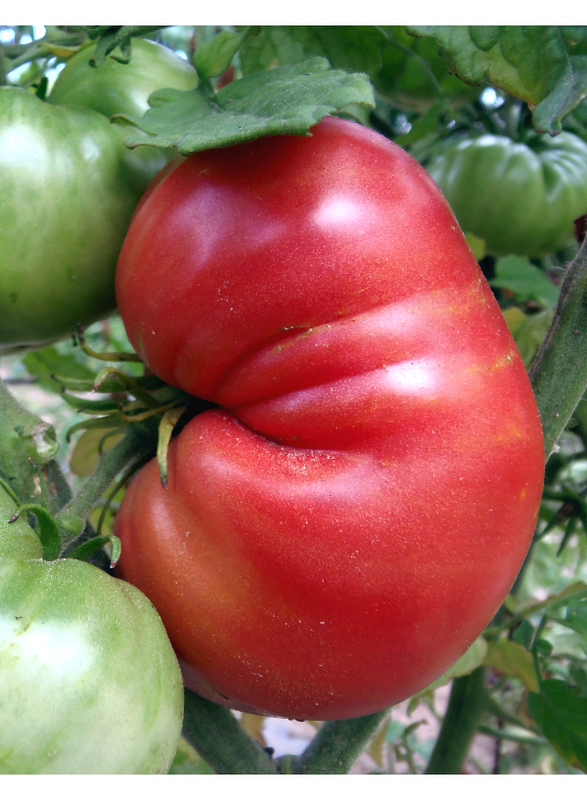 The foliage of true heart-shaped tomatoes is sparse which allows more light to the fruit.